• Here’s a lovely little pre-Christmas gift from Canadian starlet Carly Rae Jepsen. 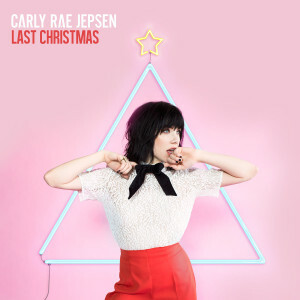 The ‘Call Me Maybe’ songstress has recorded a super-cute new version of Wham’s seminal seasonal classic ‘Last Christmas’. The track was released yesterday. • Aussie pop singer Conrad Sewell, who’s up for three awards at this week’s ARIAs, will celebrate the release of his new EP with an instore appearance and performance tomorrow at Westfield Hurstville in Sydney. As his latest single ‘Who You Lovin’ continues to find its feet on the charts, Conrad will press the flesh with fans on Centre Stage at the shopping centre from 2pm tomorrow. • The gang from Electric Gardens, set to take over Sydney’s Centennial Park on Saturday January 23, just keeps getting bigger, with the addition of Dubfire to the bill. The Iranian DJ and producer joins a stellar list of EDM talent, including Fatboy Slim, John Digweek, Nic Fanciulli, James Zabiela, Hernan Cattaneo, Pachanga Boys, Stacey Pullen and more. Second release tickets are selling fast. • Lost Paradise organisers want to help take the stress out of getting to the December 29, 30 and 31 event in the Glenworth Valley, confirming that they’ll be throwing their doors open one day early to allow glampers to set up and avoid the first-day rush. 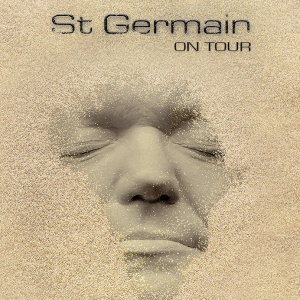 • Hot on the heels of the release of his new self-titled album, legendary French producer St.Germain has confirmed his first Australian visit in fifteen years, for shows in Sydney and Melbourne. He’ll be at the Forum Theatre in Melbourne on March 14 before zipping to Sydney to play the Enmore Theatre on March 15. Tickets for both shows are on sale this Friday. • The Cat Empire frontman Felix Riebl has announced a couple of live shows in January. In celebration of the release of his ‘The Lonely Truth’ EP on December 04, Felix will play The Basement in Sydney on January 24 and the Northcote Social Club in Melbourne on January 29. Tickets are on sale now. • US producer Pretty Lights will tour Australia early in the new year. Along with an appearance at the Rainbow Serpent Festival in western Victoria on January 23, the EDM producer (real name Derek Vincent Smith) will play the Forum Theatre in Melbourne (January 14), Sydney’s Metro Theatre (January 15), Max Watt’s in Brisbane (January 16) and Villa Nightclub in Perth on January 25. Upiuo and Emancipator are the supports and tickets are on sale now. • Well here’s a shock… in her native UK and just a week out from the release of her new album ’25’, Adele has lost the No.1 spot on the British singles chart to Justin Bieber. ‘Sorry’ finally gets the better of ‘Hello’ after four weeks on the chart, overtaking it into pole position. In fact, Justin’s serving up an Adele sandwich this week, with his grat track ‘Love Yourself’ debuting at No.3. Jess Glynne might have an ongoing relationship with the UK No.1 spot, but that hasn’t done anything for her latest single ‘Take Me Home’ yet, though it improves from No.20 to No.6. One Direction’s ‘Perfect’ also bobs its head back into the top ten. • There was never really any doubt that One Direction would be sitting in the No.1 position on the UK albums chart this week. They’ve done it again with ‘Made In The A.M.’, their fourth consecutive album to land the top spot. That leaves Justin Bieber in the No.2 position with ‘Purpose’, Elvis’ ‘If I Can Dream’ down to No.3 and the new Jeff Lynne’s ELO album ‘Alone In The Universe’ new at No.4. Andre Rieu’s newbie ‘Roman Holiday’ premieres at No.8 and the Ben Haenow album drops into the countdown at No.10. No top ten luck for Kylie, however, with ‘Christmas’ premiering at No.12. • Last week, Adele’s ‘Hello’ sales dominance continued, with her 635,000 second week sales taking the track to 1.74 million copies in two weeks. She’s down again in week number three – to an altogether lazy 480,000 copies (we’re kidding on the ‘lazy’ part, naturally) – but 2.22 million sales of a single in just three weeks is utterly phenomenal. And if predictions are correct, her just-released album ’25’ is also ready to break sales records. Drake’s ‘Hotline Bling’ remains in the number two position, while Justin Bieber’s ‘Sorry’ regains some ground; improving from four to three. Elle King’s ‘Ex’s And Oh’s’ is into the top ten, up two to No.10. But the top ten loses ‘Focus’; Ariana’s new single slipping from No.7 to No.13. • US country singer Chris Stapleton holds at No.1 for a second consecutive week, with the week’s highest debut coming at No.3, courtesy of British pop starlet Ellie Goulding and her latest LP ‘Delirium’. Tim McGraw’s ‘Damn Country Music’ is new at No.5, The Beatles’ repacked edition of ‘1+’ is new at No.6 and Sara Bareilles’ ‘What’s Inside : Songs From Waitress’ is new at No.10. The repackage of Sam Smith’s ‘In The Lonely Hour’ also does the trick, with the album bulleting from No.43 to No.11. Little Mix are new at No.13 with ‘Get Weird’. • Now that you’re all wrapped up with your Saturday edition of The Purge and the chart situation in the UK and the US, you’ll be hanging to get your fix of the Aussie chart news. And you’ll get it. Oh you’ll get it. 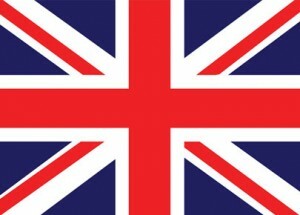 You’ll get it at 6pm AEDT with our weekly Chart Watch.